View More In Radar Systems. Standard Echomaster Radar Reflector. Every boat needs a radar reflector. It helps ships see you in low-visibility conditions. The EchoMaster comes in a plastic case and folds flat for easy storage and is made of stamped aluminum sheets with locking corner rivets. 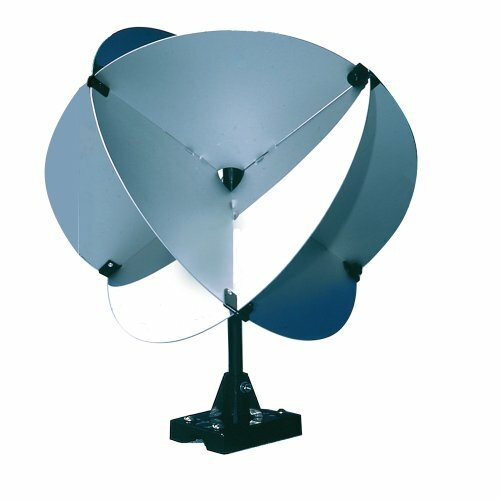 Echomaster radar reflectors return the same signal as reflectors costing hundreds of dollars more. The Standard EchoMaster can be assembled around a backstay or wire rigging. Mounting holes in corner latches make sturdy attachment points for suspending from a bridle. Non-anodized marine grade aluminum plates. Deluxe Mounting Systems may be purchased separately. Mounting holes in corner latches make sturdy attachment points for suspending from a bridle. Non-anodized marine grade aluminum plates. Deluxe Mounting Systems may be purchased separately. Box Dimensions: 1"H x 13"W x 13"L.
If you have any questions about this product by Davis Instruments, contact us by completing and submitting the form below. If you are looking for a specif part number, please include it with your message.